Many banks and credit unions offer debit cards. They are usually connected to a checking or savings account and also serve as an ATM card. When you go to a bank to open an account, you can ask if they can issue you a debit card instead of an ATM card. Use it as an ATM. Use a debit card instead of an ATM card to get cash or manage your checking account from any ATM. Use it to buy things. Using a debit card to make purchases is easier and faster than writing a check. For example, you usually don’t need to show identification or get check approval when you use a debit card. Plus, more businesses accept debit cards than checks, especially when you’re away from home. Debit cards usually have the Visa or MasterCard logo on them, making them acceptable wherever credit cards are accepted. Avoid extra charges. A debit card can be a good way to pay for small or routine purchases without having to pay interest charges. You avoid debt by paying for things now. It’s safer than cash. A debit card is safer to carry than cash, because if you lose it, you can just replace it. While your money sits safely at the bank. It’s safer than a credit card. Since they are accepted everywhere credit cards are, debit cards are just as convenient. But since you are not borrowing money, you don’t have to pile up lots of debt and finance charges. A debit card, or check card is an ATM card plus. It can do all an ATM card can do and more. It looks like a credit card, and can be used as an ATM card, but can also be used to buys things anywhere credit cards are accepted. The amount you can spend is limited by the amount in your bank account. When you use it to buy something, the store contacts your bank electronically and automatically deducts the purchase amount from your account. Debit cards are accepted everywhere that credit cards are accepted, which makes them much more convenient than regular ATM cards. Using a debit card means you no longer have to stock up on traveler’s checks or cash when you travel. Debit cards may be more readily accepted by merchants than checks, especially in other states or countries wherever your card brand is accepted. Using a debit card may mean you have less protection than with a credit card purchase for items which are never delivered, are defective, or were misrepresented. But, as with credit cards, you may dispute unauthorized charges or other mistakes within 60 days. You should contact the card issuer if a problem cannot be resolved with the merchant. Returning goods or canceling services purchased with a debit card is treated as if the purchase were made with cash or a check. “On-line” debit cards: These cards usually are enhanced ATM (automated teller machine) cards which work the same as they would in an ATM transaction. It is an immediate electronic transfer of money from your bank account to the merchant’s bank account. To access your account at a store terminal, you must punch in your personal identification number (PIN), as you would at an ATM. The system checks your account to see if it has enough money available to cover the transaction. 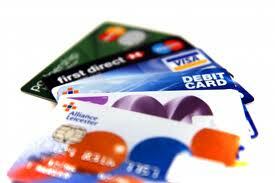 “Off-line” debit cards: These cards usually look like a credit card and resemble a credit card transaction. The merchant’s terminal reads your card, identifies it as a debit rather than a credit card, and creates a debit against your bank account. However, instead of debiting your account immediately, it stores the debit for processing later — usually within 2-3 days. Most, but not all, transactions are verified to see if there are adequate funds. Instead, of using a PIN number, the customer must sign a receipt, as he or she would with a credit card. your financial institution charges transaction or monthly fees. you prefer the security of a PIN-required transaction. you prefer that both options not be on one card. Always know how much money you have available in your account. Don’t forget that your debit card may allow you to access money that you have set aside to cover a check which has not cleared your bank yet. While some issuers give customers separate cards for ATM and on-line transactions and another for off-line uses, others combine the two on one card. If your card handles both off-line and on-line debits and the store accepts both, you will choose the function when you use the card. If you choose “debit” on the merchant’s terminal and “swipe” your card through, the transaction will be done on-line and you will be asked for your PIN. If you choose “credit” on the terminal and swipe your debit card through, the payment will be off-line and you will be asked to sign the sales slip. Just as your money may be stolen and your credit cards may be lost or fraudulently used, a debit card may be lost, stolen, or used without your knowledge. As a cardholder, you need to know the extent of your protection. Government regulations require debit card issuers to set a maximum liability of $50 if the debit card is reported lost or stolen within two days of discovery. Liability increases to $500 if the lost or stolen debit card is reported within 60 days. Neglect to notify the bank of the theft within 60 days after a bank statement is sent, and you could lose everything in your checking and overdraft accounts. Check with your financial institution about your liability. Many issuers offer consumers better protection than what is required in government regulations. One type of check card offers consumers “zero liability” in cases of fraud, theft, or other unauthorized card usage if reported by the cardholder within two business days after discovery. After the two-day period, the cardholder could be liable for a maximum of $50. Some other cards limit consumers’ liability for fraudulent use of stolen debit cards to $50.